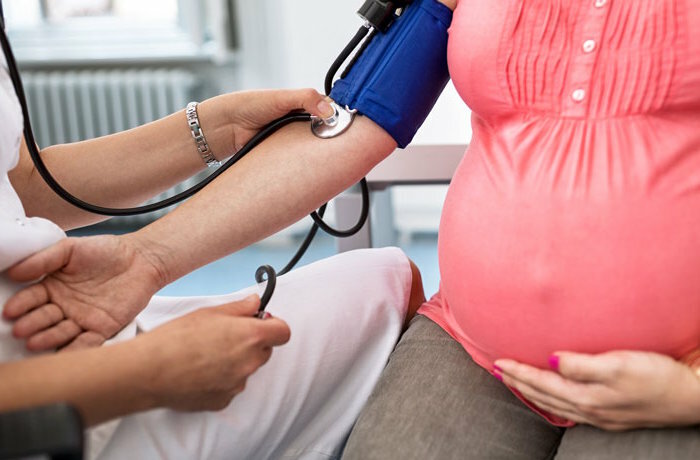 Women with severe pre-eclampsia during pregnancy may be at increased risk of developing lingering hypertension that may go undetected, as well as heart diseases, warns a new study. Pre-eclampsia occurs when a woman develops hypertension and elevated protein in the urine during pregnancy. Women with severe pre-eclampsia can be seven times more susceptible to developing future cardiovascular disease compared to women with a normal blood pressure during pregnancy, said one of the study authors Laura Benschop, a researcher at Erasmus Medical Center, Rotterdam, the Netherlands. More than 41 per cent of the women in the study, published in the American Heart Association’s journal Hypertension, had high blood pressure in the year after pregnancy. “The problem is high blood pressure after pregnancy often goes unnoticed because many of these women have normal blood pressure readings in the doctor’s office,” Benschop said. “We aimed to determine how common it is for women who have pre-eclampsia to have high blood pressure in the year after pregnancy, by looking at more than just their blood pressure readings in the doctor’s office,” Benschop said. The researchers studied 200 women who during their pregnancies were diagnosed with severe pre-eclampsia. They followed the women for one year after their pregnancies, monitoring blood pressure during the day and night and taking blood pressure readings in the clinic. The most common type of hypertension detected was masked hypertension, which is normal blood pressure in the doctor’s office, but high readings outside of the office, the study said. “Our findings suggest women who have high blood pressure during pregnancy should continue to monitor their blood pressure long after they’ve delivered their babies. It’s not only important to monitor blood pressure in the doctor’s office, but also at different times of the day and night, at home,” Benschop said.